Apple Music is coming to Android in the fall - that was one of the headlines after Apple's big announcement on Monday - but users of Google's OS won't get its full functionality. Apple is offering two versions of the service to iOS users; there will be a free edition with limited features and a paid for edition with all the features included such as unlimited listening, save for offline and music recommendations. The free service offers the Beats 1 radio station, all the Apple music radio stations (with limited skipping), the ability to follow artists on Connect and view an artists feeds as well. Six Colors has dug into the fine print from the Apple announcement and confirmed Android won't be getting the free version of the service. You'll still get a whole three months of the premium service for free though, so it's not all bad news. 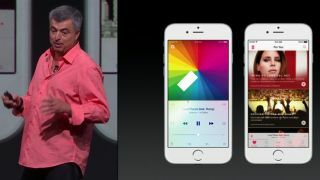 Everything we know about Apple Music.